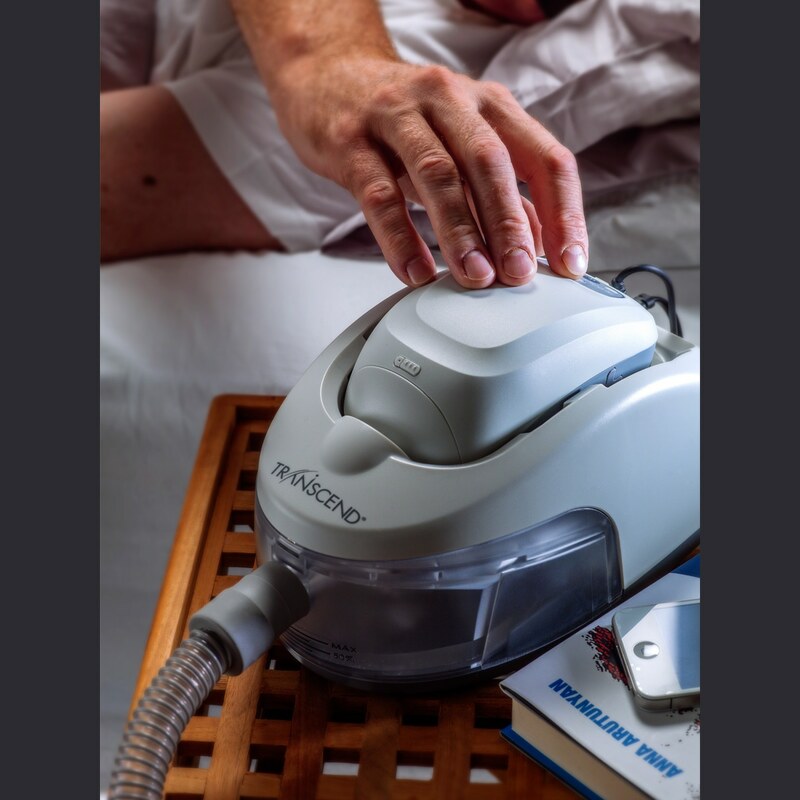 For premium comfort add a Heated Humidifier to your Transcend series CPAP machine. 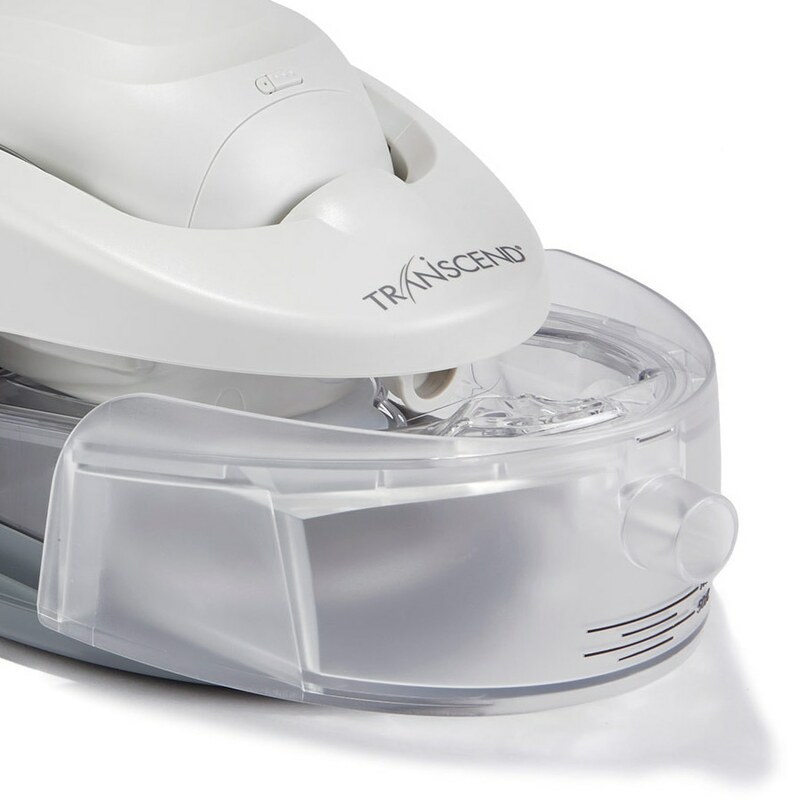 The streamlined shape of the Transcend Heated Humidifier preserves the small footprint of the Transcend, conserving space by cradling the CPAP in the center of the humidifier. It is great solution, intelligently designed for use at home or on the road. 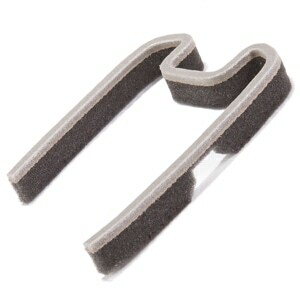 Improves Sleep Therapy Comfort & Compliance: Many people find that Sleep Therapy can dry the throat and nasal passages. Adding a Heated Humidifier to your CPAP system can help alleviate this problem, increasing comfort and improving overall therapy compliance. 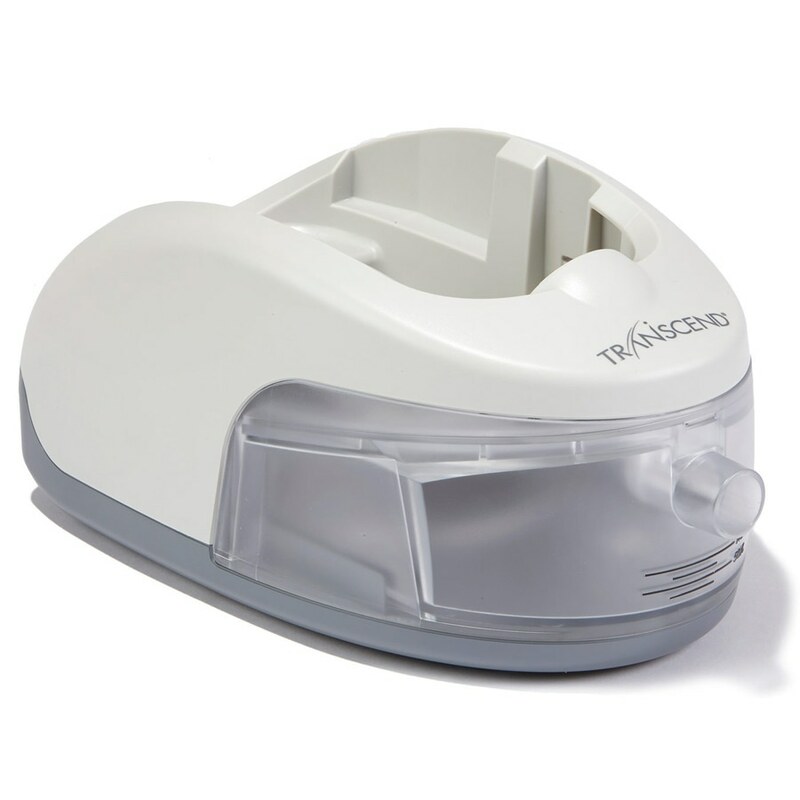 The Transcend Heated Humidifier is an ideal companion to any Transcend series CPAP Machine. Truly Integrates with Your CPAP: The Transcend Heated Humidifier's unique shape saves space by cradling the Transcend in the center of the Heated Humidifier. 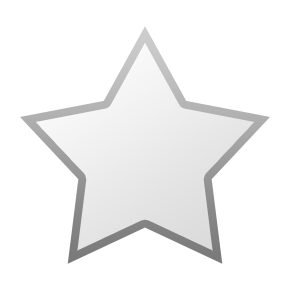 A simple slide-and-click ensures that the CPAP is properly seated in the humidifier for safe, comfortable heated humidification. Heater settings (from 0 off to 5 highest) are easy to manage with a simple dial on the back of the heated humidifier. The Heated Humidifier includes a universal power supply and is powered by a slimline power cord separate from the Transcend's power supply. The Transcend Heated Humidifier cannot be powered with a Transcend Battery Pack or Mobile Power Adapter (DC Cord). 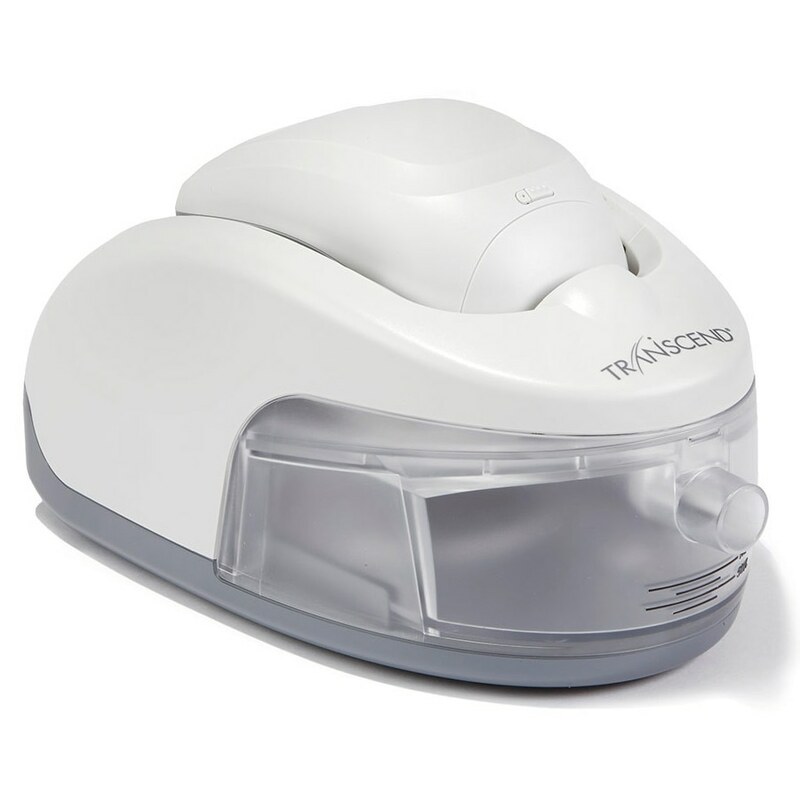 Compatible with Standard CPAP Tubing & All CPAP Masks: The Transcend Heated Humidifier is compatible with all Standard CPAP Tubing and can be used with any mask on the market -- including your favorite! Long Life Water Chamber Included: The Transcend Heated Humidifier's Long Life Water Chamber holds a generous 1 1/3 cups of water and is dishwasher safe for easy cleaning. In The Package:Transcend Integrated Heated Humidifier, Water Chamber, Power Cord, 2-Year Manufacturer's Warranty, Printed User Instructions. 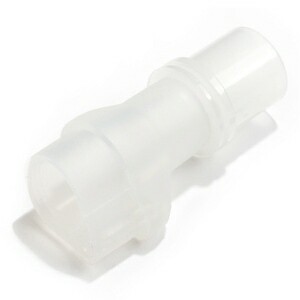 Humidifier Notes:The Transcend Universal Hose Adapter is NOT required when using your Transcend CPAP with the Transcend Heated Humidifier. The Transcend Humidifier's water chamber should be completely emptied and dried before moving, or traveling with, the humidifier. For full usage instructions please review the user manual that came with your humidifier. 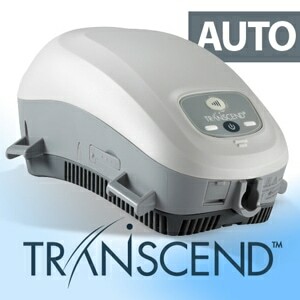 POWER NOTES:The Transcend Heated Humidifier requires a separate AC Power Cord from the Transcend CPAP Machine. It cannot be powered by the Transcend Mobile DC Power Adapter or Transcend Battery Packs. Too big and cumbersome! Needs a redesign. A shame because the Transcend CPAP is a winner. Small for travel and quiet! Now I am stuck with a unit I cannot travel with which means I can't use the Transcend! 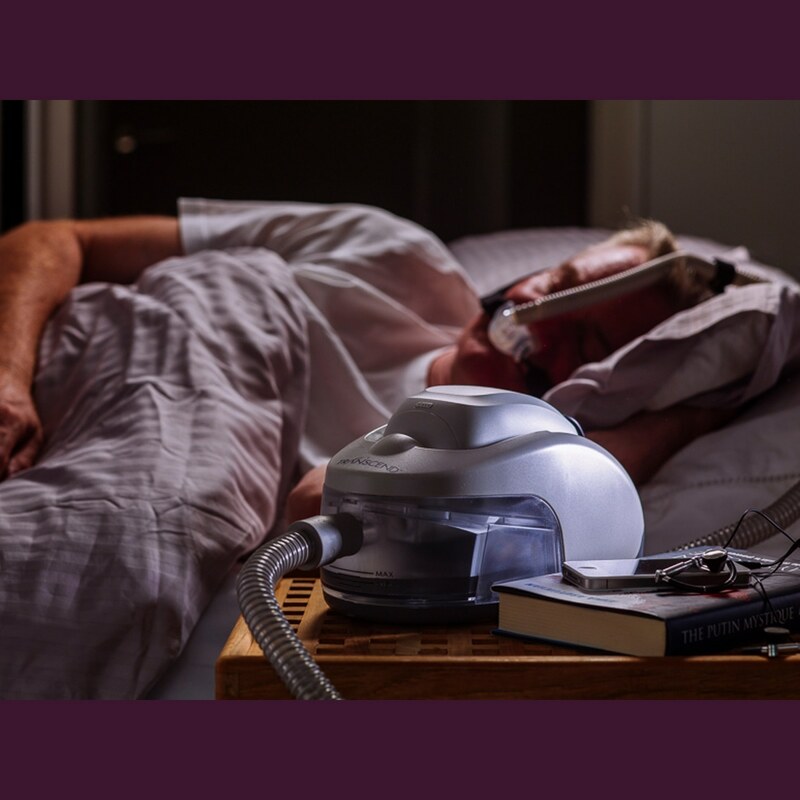 The smal Transcend CPAP is great for size, but it is noisy, and if you are using it in dry environments , the air flow dries out nasal passages quickly. 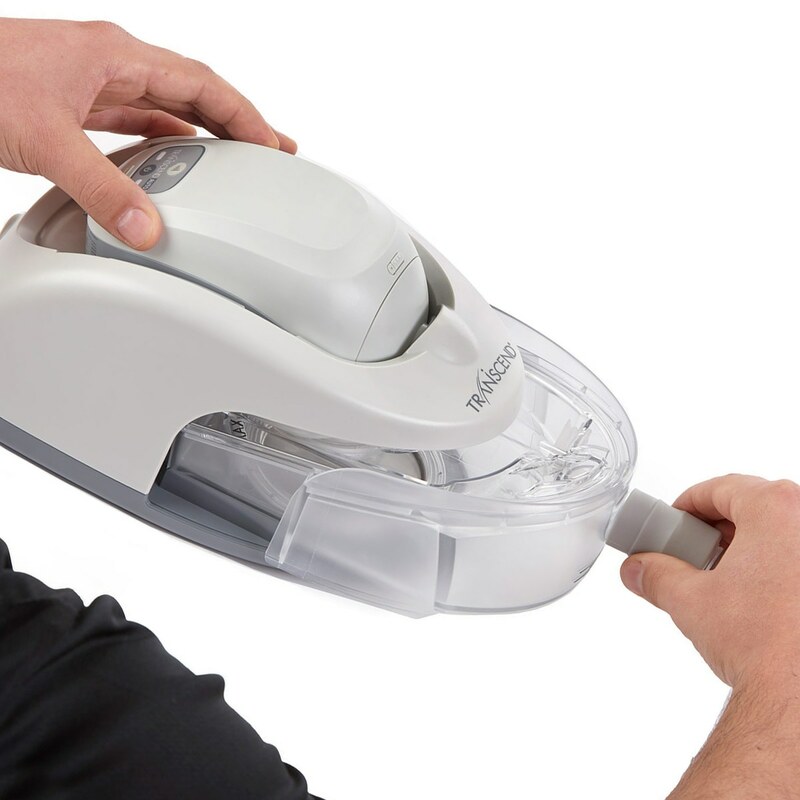 The humidifier attachment runs counter to the compact design of the CPAP unit. it is "BIG" and poorly designed, however it does quiet out the CPAP machine. The plug for the water is too loose and can pop out if not handled delicately. Use the transcend for humid climates. There are better and smaller CPAP -moisturizer units on the market. DO NOT PURCHASE THIS PRODUCT. The water chamber leaks terribly after a month or so of use. To the point of ruining furniture. Unless you have something water proof to set this into, do not use it. I have tried three water chambers and each and every one of them has leaked and destroyed my beautiful and expensive night stand. I have resorted to placing the entire unit on the tiled floor next to my bed. I am disgusted, but need the humidity, and the entire Transcend Auto package is so expensive that I am not willing replace it at this time. The Transcend is a wonderful machine. Very small, and works as well has my Resmed. It is quieter than the Resmed. The EZEX setting drops the exhale pressure (a lot). I purchased the water container and it works well too. The water chamber is large enough for over 8 hours. I tried the Z1, however it does not perform as well as the Transcend Auto. 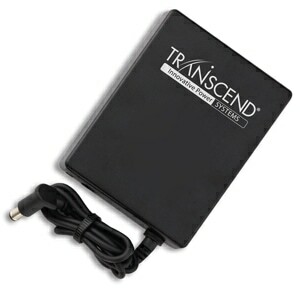 I recommend the Transcend for home as well as travel.